The arena opened on September 29, 2000. It was built on the site of the demolished St. Paul Civic Center. The push for a new arena in Saint Paul grew after the National Hockey League's Minnesota North Stars moved to Dallas. Saint Paul unsuccessfully courted the NHL's Hartford Whalers and Winnipeg Jets under Mayor Norm Coleman, but the Civic Center was an obstacle to both deals. In order to get an NHL expansion team, Saint Paul needed to build a new arena. After several failed attempts to get funding, the project was funded by the state in April 1998. The state gave Saint Paul a no interest loan for $65 million of the $130 million project, though the state forgave $17 million of that loan in exchange for high school sports championships played at the arena. The Minnesota Wild played their first game at the arena on October 11, 2000, against the Philadelphia Flyers. The game ended in a 3-3 tie. Peter White scored the first goal in the arena while Darby Hendrickson scored the first goal for the Wild. The Wild's first win at the arena came on October 18, 2000, where they defeated the Tampa Bay Lightning 6-5. It wasn't until April 14, 2003, when the Wild played in their first playoff game at the arena. In that game, the Wild suffered a 3-0 loss to the Colorado Avalanche. A week later, on April 21, 2003, the Wild won their first playoff game 3-2 on an overtime game-winner by Richard Park. In 2004, it was named by ESPN as the best overall sports venue in the U.S. The 10 millionth person passed through the gates on July 3, 2007. The Twin Cities were selected as the hosting metropolis for the 2008 Republican National Convention on September 27, 2006 and the arena was chosen as the main venue. The Republican National Convention was held here on September 1–4. In 2010, a Minnesota Wild game at the 'X' was listed as the third best stadium experience in North America, according to the ESPN Magazine. First on the list went to the Minnesota Twins and Target Field. On April 26, 2015, the Wild won their first playoff series at the arena, defeating the St. Louis Blues 4-1 in game six of the Western Conference Quarterfinals. The arena played host to the politically motivated Vote for Change Tour on October 5, 2004, featuring performances by Bright Eyes, R.E.M. and Bruce Springsteen & The E Street Band (with special guest John Fogerty and unannounced guest Neil Young). The Minnesota Lynx of the WNBA used the Xcel Energy Center during the 2016 WNBA Playoffs, and played a full season in the arena in 2017, as their home arena, Minneapolis' Target Center, was going through renovations. The concourse areas contain a hockey jersey from every high school in Minnesota hanging on the wall, reflecting the "State of Hockey." Surrounding the arena at all four corners are "crows nests." One features an organ built into the shell of a Zamboni and is played during Wild games. The second nest features a lighthouse which houses a foghorn that is blasted when the team takes the ice before games, for all Wild goals, and after a victory. The third is often used for the "Let's play hockey!" announcement before puck drop each game, along with game ops interviews, announcements, and fan contests. The fourth provides an additional stage for various uses. Prior to its opening, the arena installed an integrated scoring, video, information and advertising display system from Daktronics, based in Brookings, South Dakota. The system includes a large LED circular, center-hung scoreboard with multiple displays, nearly 1,100 feet (340 m) of ribbon display technology mounted on the fascia and large video displays outside the facility. The center ice display was replaced during the summer of 2014. An array of 10 LED screens with the largest measuring 37.5 feet wide by 19 feet high. In the Summer of 2015 the arena began replacing every seat in the building with cushioned seating. This project was finished by early 2016. March 6, 2015: 21,609 fans attended the 2015 State Boys' Hockey Tournament Class AA semifinals at Xcel Energy Center, setting a new record for the largest crowd to ever attend an indoor hockey game in the state of Minnesota. March 9, 2012: The Minnesota State High School League Boys' hockey tournament again set a new attendance record during the 2012 AA semifinal session. Hill-Murray and Moorhead played in the first game followed by Benilde St-Margaret's and Lakeville South in front of a crowd of 19,893. March 8, 2008: The Minnesota State High School League Boys' hockey tournament set a new attendance record during the AA semifinal session. Edina and Benilde-St. Margaret's played in the first game followed by Roseau and Hill-Murray in front of a crowd of 19,559. February 8, 2004: The NHL All-Star Game set a record for attendance at a hockey game in Minnesota at 19,434. The record attendance for a Wild game was set May 6, 2014 at 19,416, against the Chicago Blackhawks. On October 28, 2003, Shania Twain set the arena's single-night concert attendance record of 20,554. On March 17, 2007, 19,463 spectators watched the final game of the WCHA Final Five tournament, the largest crowd ever for an indoor United States college ice hockey game (i.e. not including games held in football stadiums such as the Cold War). On November 3 & 4, 2012, Madonna performed two sold out shows on her record-breaking MDNA Tour. On January 19, 2013, 19,298 fans witnessed the Wild defeat the Colorado Avalanche in the first game following the shortened 2012–2013 season. It also marked the debuts of signees Zach Parise and Ryan Suter. Since opening the doors of the Xcel Energy Center on September 29, 2000, the Wild had a sellout for every single game, which was finally broken on October 16, 2010 (totaling 400 consecutive home games as of March 8, 2010). In 2014 the campus of the Xcel Energy Center, RiverCentre, and Legendary Roy Wilkins Auditorium have earned three world class certifications. The "X" is the site of the WCHA Final Five, the Minnesota Girls' High School Volleyball Tournament, and the High School Wrestling tournaments, as well as the host of the Minnesota State High School League-sponsored volleyball state tournament. It hosted the 2002, 2011, and 2018 NCAA Frozen Four. The National Lacrosse League's Minnesota Swarm began regular season play in the arena in January 2005 until they moved to Georgia in 2015. The venue formerly hosted the Big Ten Men's Ice Hockey Tournament, alternating with Joe Louis Arena in Detroit. As of 2018, it is host venue of the NCHC Frozen Faceoff. Interior during Minnesota Swarm lacrosse game. Inside the Xcel Energy Center during the 2006 WCHA Final Five Championship. Inside the Xcel Energy Center prior to the 2009 Boys' High School Championship game between Eden Prairie and Moorhead. In 2013 the Minnesota State Legislature passed an omnibus jobs, housing and commerce bill that included forgiveness of the remaining $32.7 million loan for Xcel Energy Center. Under the terms of the forgiveness deal in this bill, St. Paul's annual loan payment will be reduced by $500,000 in 2014 and again in 2015. The balance of the loan will be forgiven in 2016. The city still owes $56.8 million in bonds on the arena, of the $72.7 million it borrowed in 1998. ^ Doyle, Mike (January 19, 2013). "GAMEDAY: Wild vs. Avalanche". National Hockey League. Retrieved September 18, 2013. ^ a b "Xcel Energy Center Facts & Figures". SportsBusiness Journal. October 2, 2000. Retrieved November 7, 2011. ^ "Xcel Energy Center". Xcel Energy Center. July 6, 2000. Archived from the original on September 18, 2008. Retrieved February 22, 2013. ^ "Xcel Energy Center – Xcel Energy Center in Saint Paul Minnesota". Architecture.about.com. Retrieved February 22, 2013. ^ a b Rybin, Virginia (September 27, 2000). "St. Paul New Arena is Tale of Survival". St. Paul Pioneer Press. Retrieved September 18, 2013. ^ "2002-03 Minnesota Wild Roster and Statistics". Hockey-Reference.com. Retrieved 2019-04-24. ^ a b Republicans start arena conversion for convention USA Today. ^ Van Denburg, Hart. "ESPN Magazine calls Target Field the best stadium in North America". City Pages. Archived from the original on 17 May 2014. Retrieved 16 May 2014. ^ "2015 Stanley Cup Playoffs First Round schedule". NHL.com. Retrieved 2019-04-24. ^ "2004 Setlists". Backstreets.com. July 17, 2004. Retrieved November 7, 2011. ^ "Lynx to play first two playoff games in St. Paul". 12 September 2016. Retrieved 24 February 2019. ^ "Lynx to play 2017 home games at Xcel Energy Center". Star Tribune. Retrieved 24 February 2019. ^ "Xcel Energy Center". Prairie Biz Magazine. July 1, 1492. Archived from the original on February 19, 2014. Retrieved September 18, 2013. ^ "Xcel Energy Center, Wild will unveil new center-ice video board Sept. 27". Star Tribune. June 30, 2014. Retrieved July 21, 2014. ^ Leighton, Tim (March 10, 2012). "State Hockey: Hill-Murray Coach Discusses Jack Jablonski's Effect on BSM". St. Paul Pioneer Press. Retrieved September 18, 2013. ^ Eide, Nathan (January 19, 2013). "Minnesota Wild vs. Colorado Avalanche: Game Recap". Hockey Wilderness. Retrieved February 22, 2013. 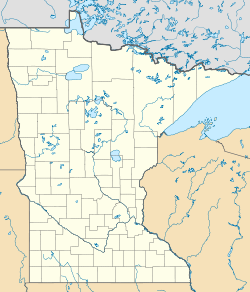 ^ "2010 Hockey Day Minnesota Announced". National Hockey League. June 22, 2009. Retrieved November 7, 2011. ^ "Big Ten Announces Conference Schedule for 2017-18 Hockey Season". Big Ten Conference. May 4, 2017. Retrieved 21 June 2017. ^ Dilks, Chris (September 30, 2016). "Big Ten Officially Approves On-Campus Playoffs". SB Nation. Retrieved 20 June 2017. ^ "NCHC Establishes New Partnership with Xcel Energy Center to Host Frozen Faceoff". National Collegiate Hockey Conference. 2017-09-07. Retrieved 2018-03-17. ^ "St. Paul wins forgiveness of Xcel arena loan". Star Tribune. Retrieved 24 February 2019. Wikimedia Commons has media related to Xcel Energy Center.